The rigidity of the elZinc® honeycomb material allows for very large panel sizes to be installed, either horizontally or vertically. At present, finished panels of 936mm x 8000mm are possible, but the maximum width will soon increase to around 1220mm. This makes for a very bold statement across the façade, with a minimum number of joints. The perfect flatness of the panels contributes to a sensation of solidity and robustness. 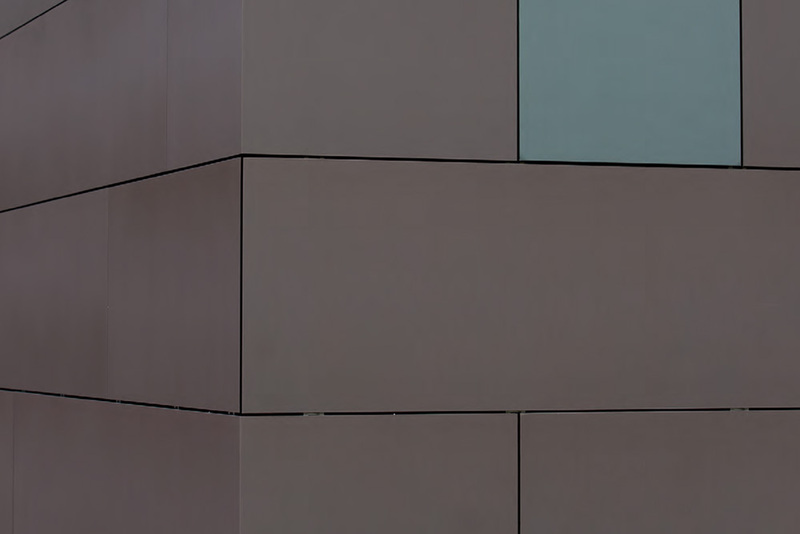 elZinc® faced aluminium honeycomb panel. Extremely rigid, very large panel sizes possible. Bespoke, point fixing system reduces sub structure costs. Quick and easy precision installation. Wrap around edges for added safety.